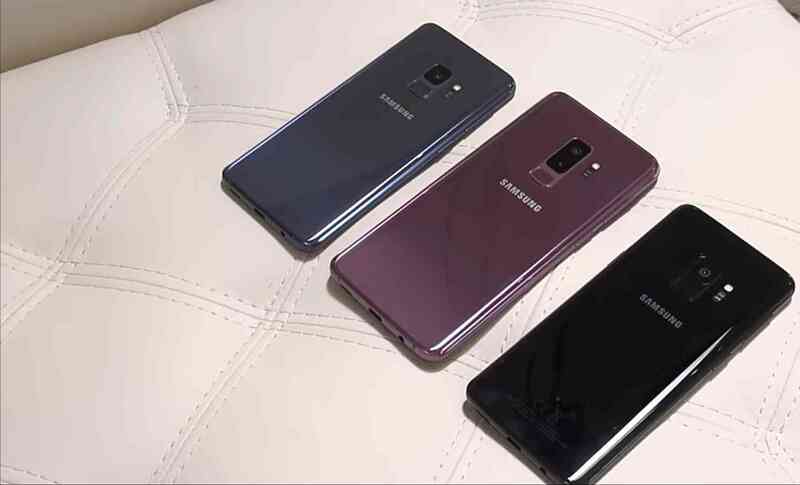 So at last, the wait is finally over, the rumors and hypes have come and gone, and finally, the long much awaited Samsung Galaxy S9 and S9 Plus, are here. excited right? And this is our first look, and first impressions of the devices, so lets see if the Galaxy S9 is what we were all looking forward to have. First of all, everything that was rumored about the Galaxy S9 all came along with it, the displays, cameras, RAM, processors, fingerprint reader placement, etc. So lets take a look around the devices, to see if we'll be really impressed. PLEASE NOTE: That all images used in this article are all properties of Erica Griffin from YouTube. And for those who doesn't find any joy in reading long paragraphs of text, here is a video review to keep up with.. same thing as what is written down here.. Looking at the devices at first glance, you wouldn't be able to tell them apart from last year's Galaxy S8, why because, they both took after the S8 in terms of looks. We have the glass body and a metallic frame, only difference are the reduced bezels at the front. Then Samsung made sure to correct the mistake it made on the S8, by placing the fingerprint reader, directly below the camera, like other OEMs have always done, instead of beside it. 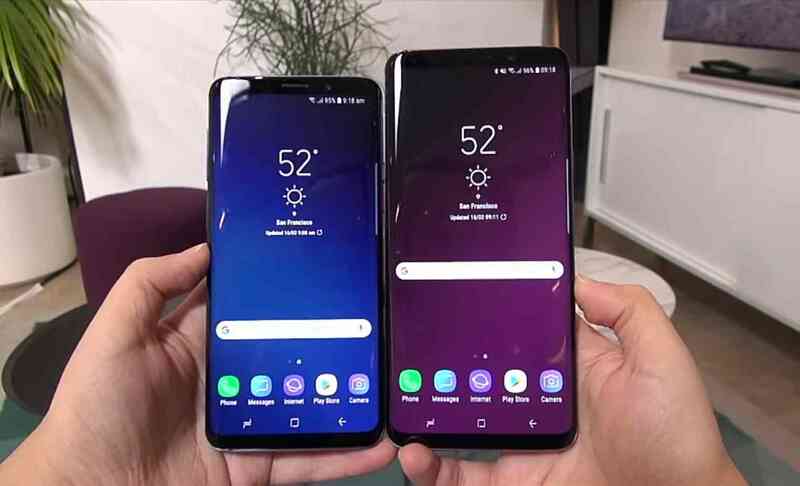 The screen sizes are the same from what we saw on the S8, a 5.8 Inch for the regular S9, while a 6.2 Inch for the Plus variant. Infinity displays, and screen rounded corners are still there. Remember when Samsung said the cameras of the S9 will be re-imagined, well that wasn't a false rumor, because the cameras are out of this world. There is no better word to use in describing the cameras on these devices, but simply the best. Okay enough of the praises, and let's see what we have here. Now the main focus of Samsung on the S9 and S9 Plus, are on the cameras. Both devices come with 12MP Cameras, but the plus variant has a Dual 12MP Camera setup at the back, one for wide angled shots, and the other for telephoto shots, which simply means we can now take portrait photos (blurred backgrounds) on the Samsung Galaxy S9 plus, just like we did on the Note 8. But it isn't just the pixels of this cameras that made it stand out. The main deal here is that the cameras on these devices have what we call "Variable Apertures". You can decide to change the camera apertures on both devices, to allow more or less light into the lenses for better image productions. They both come with an F1.5 and F2.4 Apertures. Now what these really mean is this, when you are taking photos in a very bright environment, that might seem to ruin your shots, you can reduce the aperture size to F2.4 to allow less light to reach the camera lenses. While when taking photos in less lighted environments, such as when taking photos indoors or at night, you can set it to F1.5 to allow the lens capture as much light as possible, to give you a perfect shot. Now one fun fact about the cameras is this; you can literally see how the lens on the cameras closes and opens when changing your apertures on the devices.. This is exactly one feature that we've never seen on any flagship devices before... all thanks to samsung for this one. The camera are also equipped with Super Slow Motion Video Recording, which means you can record videos at a speed of 960FPS, the demonstration is in the video pasted above. So we'll be doing a full camera review for the S9 and S9 Plus, make sure to subscribe to our newsletter to get notified about it. Like we expected, we know samsung is really working on something that will want to make people ditch their iPhone X for the Galaxy S9, and they just hit it at the right spot. Remember the popular animoji feature that debuted with the iPhone x, where the device uses it front facing TrueDepth camera, to capture expressions on your face in real-time, then uses those expressions to create a corresponding live emoji. cool right?. Well Samsung now has its own in the s9 and the s9 plus, and this time, they called it the AR Emoji. This time, it doesn't just create and render just some pre-installed emoji, it creates an emoji of you, which you can edit and share, or even include them in direct messages to people. So we'll as well be doing a separate review for the AR Emoji on galaxy s9.. make sure to subscribe if you've not done so. Okay it seems samsung really had the apple fanboys in mind when building the S9 and the S9 plus. In order to make people ditch their iPhone X for the S9, Samsung included something they call Intelligent Scan, but first of all, i will like us to know that S9 and the Plus variant, both came with Samsung's iris scanner that was seen on the Note 8. So what intelligent scan does is this; it automatically decides when to use either Face Unlock or the iris scanner to unlock the device. The primary security system is the iris scanner, but what happens when you are behind a very bright light that gets in the way of the iris scanner, say the sun, it automatically switches to face unlock, without breaking a sweat. cool right. So more of that will be coming as a full review. The galaxy S9 and S9 Plus are the first phones from Samsung to feature stereo speakers, this is something that other OEMs have been doing before, but trust samsung to give them a run for their money. The galaxy S9 and the S9 Plus both come with two speakers to give you that surround sound effect, one at the bottom, and one at the top. These speakers are tuned by Harman AKG, and comes preloaded with Dolby Atmos Surround Sound Audio Boosters, to help you take your audio game to the next level. And don't forget that we still have our earphones port, and the now popular AKG earphones in the box. Other regular specs of the device includes a Qualcomm Snapdragon 845 processing chipset, 4GBs of RAM for the regular S9, while the Plus gets a bigger 6GBs. Both devices comes with 64GBs of inbuilt storage as base storage, there are higher versions of up to 128GBs and 256GBs that you can get. They both have the same 8MP Front Facing Cameras, a 3000mAh Power Battery for the standard S9, and 3500mAh Power Battery for the S9 Plus. Both comes with Wireless Fast Charging , Samsung Dex (Desktop Experience), a USB Type-C Charging Port, and so much more that we will be pointing out in the full review. Meanwhile, tell us what you think about these new galaxy smart phones. Did they check all the boxes for you, or are they just a glorified S8. Make use of the comments box below. And as well don't forget to share this article, and subscribe to our newsletter to get notified of every latest Samsung Galaxy S9 gist.